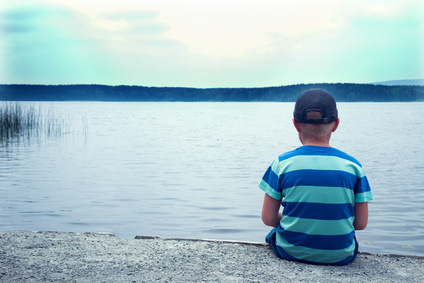 Gifted children and teens face what seems like a daunting choice: conform or flounder. Engaged, curious, and joyfully aware, young gifted children explore their world, expound upon what they discover, and push the limits with questions, intensity and passion. At some point, though, they realize that something is different about them. It might be their pace of learning, grasp of concepts, sensitivity, empathy, hyperfocus, or even their social immaturity. They hear adults comment about their abilities and differences, accompanied by frustration or astonishment or sometimes disbelief. But most importantly, these children realize that they differ from their peers and don't quite fit in. Something is amiss and they can't sort it out. Young gifted children sometimes express their distress through complaints ("none of the kids like me") or actions (refusal to participate in social events). Some keep their unhappiness to themselves, and devise a strategy to navigate the social milieu. They might become "bossy," assuming they can force other kids to play with them and do what they want. Others resort to excessive compliance, refusing to assert their needs, and passively agreeing with their classmates' decisions. Some withdraw completely and prefer to play by themselves. Emotional outbursts, tears, aggression, or regressive behaviors are possible. As gifted children transition into elementary school, some may develop the social radar and skills to find other bright or gifted peers who share similar interests, and form close friendships. Nevertheless, they remain quite aware of their differences, and start to appreciate the disadvantages of being the "smart kid" who has all the answers. Sometimes they may be ostracized completely or even bullied. Many schools inadvertently add to the problem by eliminating gifted classes, refusing to consider flexible ability grouping, or singling out gifted children to "tutor" struggling classmates or lead their peers in group projects. Twice exceptional or less mature asynchronous children may have the hardest time with peers. Difficulties mount as gifted children enter middle school and high school, compounded by increasing social, hormonal, and academic pressures. Less mature gifted teens may feel baffled by the social pressures and become even more isolated. Others may "dumb themselves down" in an attempt to fit in. Boys often adopt a tough, hyper-masculine stance to distance themselves from the effeminate, nerdy male stereotypes portrayed in media and film. Girls may hide their talents completely, and believe that intelligence, especially in STEM fields, is unattractive. Gifted pre-teens and teens also struggle with their ties to family and cultural values. They may question their family's political views, religious beliefs, and even beloved family traditions. Gifted teens are tenacious when confronting perceived injustice, and will challenge school policy if it seems unfair. And while they may feel empowered by independent thought, it can be equally disquieting to disengage from the comforting familiarity of their upbringing. Existential concerns and a sense of disconnection can arise, and may trigger anxiety and depression as teens search for meaning and a place to belong. Most gifted teens and young adults eventually find a connection with like-minded peers and social/cultural groups that offer meaning and enrichment. This may take some time, and they need family and school support to help them weather any anxiety or depression that accompanies their development. Even as adults, many gifted people struggle to find the right fit, and may be acutely aware that they remain outside the norm of many social circles. What can you do to ease the burden? 1. Remain your loving, consistently available selves. You don't have to know all the answers. You can make mistakes. And you don't have to (nor should you) solve all of your child's problems for him. But your availability lets him know that regardless of what occurs, he can rely on you for support, will not feel shamed for his fears/behaviors/transgressions, and knows he will be loved even if he struggles. 2. Help your child understand giftedness. Despite some misguided claims that knowledge of one's gifted abilities will create anxiety or arrogance, an explanation of what these children already suspect is validating and helps them understand their differences. Many parents are worried about how to explain giftedness to their child, so avoid discussing it. But your child already recognizes that she learns more quickly, differs from her peers and views the world differently. A clear, no-frills explanation, that conveys the facts without implying that she is better than other children, will provide a context for what she already senses about herself. For more about how to share this information, see this link. 3. Encourage opportunities for interactions with like-minded peers. Ideally, this should occur in school. However, we know that many schools refuse to group gifted children together. Even if there are a few gifted students within each class, many gifted kids hide their abilities in an attempt to fit in, so there may be little chance for dialogue with like-minded peers. Advocate for flexible ability grouping and clustering if this is not already available. And if you hit roadblocks, explore options outside of school (many of which can be low cost) where your child can find peers with similar interests. This might include robotics, chess, art, music, performing arts, or volunteer work. If you are a gifted adult, you face the freedom - and the challenge - of forging your own path. Some careers provide an opportunity to interface with other gifted individuals, but many do not. Finding connections with others who think like you do, can bond over similar interests, and share the same sensitivities may take time. You may never fit the norm; but with some effort and ingenuity, you can find like-minded peers and meaningful relationships without conforming or masking your true nature. It's not middle school any more! And hopefully you can learn to enjoy all of who you are, embrace your gifted self, and expect that others in your life will appreciate your uniqueness also. This blog is part of Hoagie's Gifted Education Blog Hop on the power of belonging. To see more blogs, click on the following link.